Lock. Charge. Sync. It really is that simple. 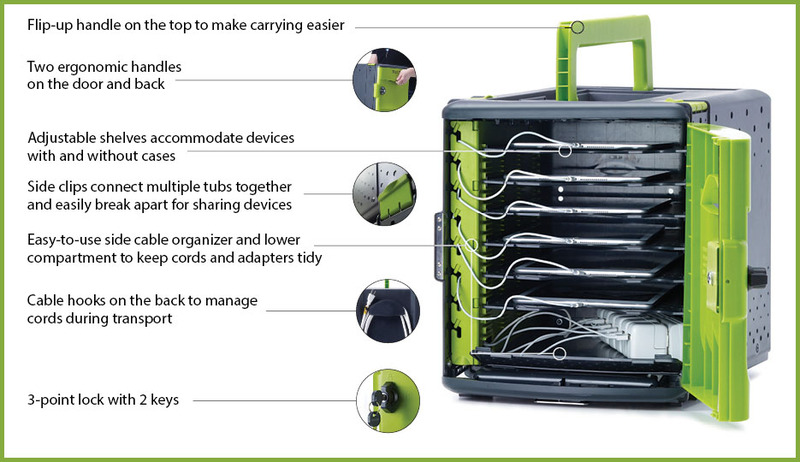 Tech Tub2™ was developed with input from members of our Idea Lab educator advisory team, it offers an affordable, flexible and mobile solution for charging and storing devices used in PreK-8 classrooms. Our Premium Tech Tubs hold 6 iPads®, Chromebooks™ or a combination of both. Store, charge and carry your devices anywhere in the school with ease. s.